Hooray for Us! Hawaii is Home to Back-To-Back Best Beach Winners! Right on the heels of Waimanalo Beach Park, winner of the “Best Beach in America 2015,” Hanauma Bay has just been announced as the winner for 2016. That makes Hawaii home to two back-to-back best beach winners — and, I’d love to say I’m surprised. But I’m not! According to KHON, since 1991, Florida International University’s coastal expert Dr. Stephen P. Leatherman, “Dr. Beach,” has been releasing the ranking base on fifty criteria, including water and sand quality as well as safety and management. This year’s list is his 26th, in fact. And, he seems to have a special affinity for the Aloha State — Hawaii’s beaches have always been prominent on his lists. In fact, Kapalua Beach on Maui also made the top 10 list, coming in at number 3. The ranking places more emphasis on environmental management and beach safety. But, starting this year, extra credit was awarded to beaches that prohibit smoking. And, lucky for us, it is against the law to smoke at all city and state parks on Oahu. Snorkeling is the main attractions at Hanauma Bay, and that's one of the many reasons Dr. Beach named Hanauma Bay the best beach in the U.S. in 2016. 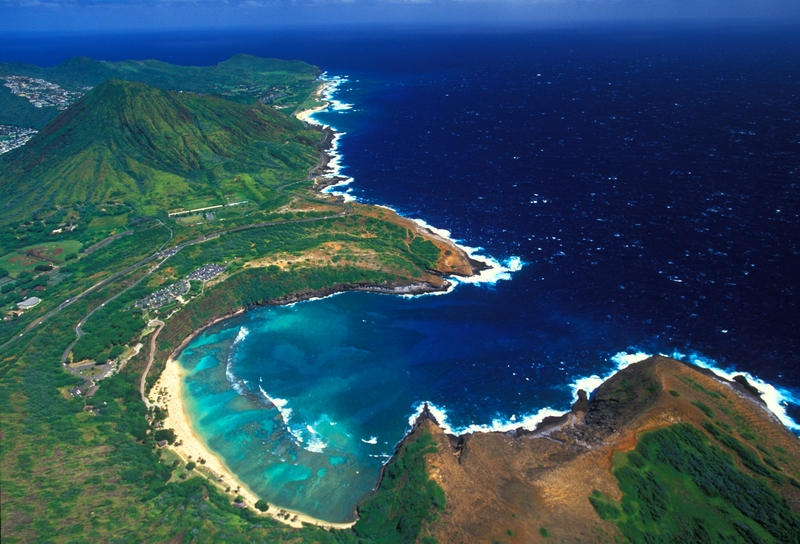 “Hanauma Bay Beach Park is located on the eastern end of Oahu. There is limited parking so the best way is to reach this stunning white sand coral beach enclosed in a breached volcano is to take the Waikiki Beach Shuttle. The marine protected area, which has the best accessible snorkeling in Hawaii, is closed on Tuesdays to give the fish a chance to rest. In fact, this became the first no-smoking beach in Hawaii because of the necessity to protect the thousands of beautifully-colored tropical fish which span the rainbow. There are lifeguards along this crescent-shaped beach along with full amenities. Dr. Leatherman is an internationally known coastal scientist who has published 20 books and hundreds of scientific articles and reports about storm impacts, coastal erosion and ways to improve beach health and safety. More emphasis is being placed on environmental management and beach safety. 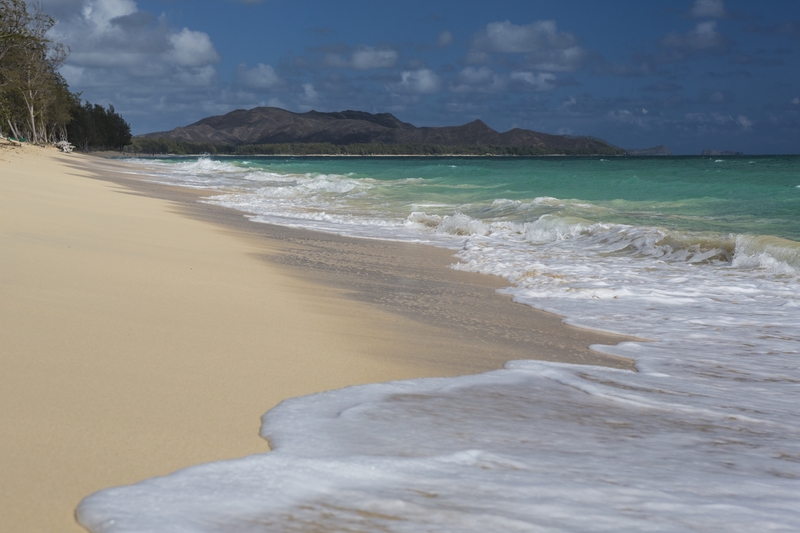 Waimanalo Beach Park was named the best beach in the U.S. in 2015. Although snorkeling Hanauma Bay is one of the highlights for many visitors who come to Hawaii, those who want to enjoy the site’s beauty WITHOUT getting wet can book an Oahu Circle Island Tour, which winds around the East side of Oahu. If you ask your tour professional for a brief stop to look over the ridge at this beautiful beach, he/she will be happy to oblige! Although Hawaii’s beaches typically make the top 10 of Dr. Beach’s lists, it’s rare that the islands get back-to-back winners. Now, let’s try to make it three-in-a-row!